March 1, 2018 – Nuclear scientists at Oak Ridge National Laboratory are retooling existing software used to simulate radiation transport in small modular reactors, or SMRs, to run more efficiently on next-generation supercomputers. 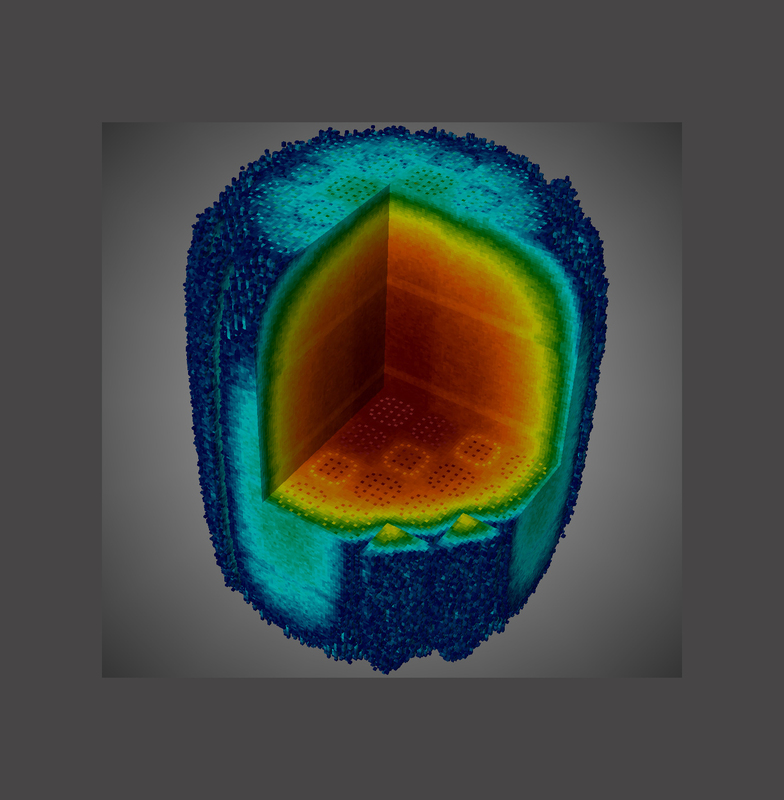 ORNL is working on various aspects of advanced SMR designs through simulations currently performed on the lab’s Titan supercomputer. “The next generation of supercomputers will run on more sophisticated architectures based predominately on graphics processing units, or GPUs,” ORNL’s Steven Hamilton said. “For the radiation transport algorithms to be compatible, we are preparing now so that we can take advantage of the full capability of GPU-based systems and run simulations as efficiently as possible.” The ORNL team leveraged Titan’s hybrid platform system that includes GPUs to develop and test the radiation transport codes. The newly developed method, described in Annals of Nuclear Energy, will be further scaled up to run larger simulations efficiently when future machines come online.